The grant will be used to purchase premises on the high street and expand services for children and create a community hub. In 2012, over 500 residents in Crediton, a small market town in Mid-Devon, came together to retain a bookshop on their high street. 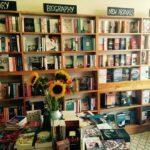 Through grant funding and a £32,000 community share offer, they raised enough money to rent a small shop at the end of the high street and started the first independent bookshop in Mid-Devon. 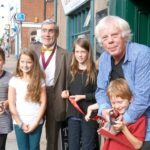 As well as selling a wide variety of books, the community bookshop runs events with local poets and authors, has a strong programme with schools to improve literacy and aspiration among local children, and exhibits work by local artists and research by local people. 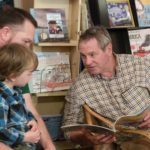 The Power to Change grant of £152,000 enabled them to move to a bigger, more central location on the high street and expand their services to include more author events, holiday book-clubs, storytelling, reading & writing groups, quizzes and book fairs. Their aspiration is to become a community hub, with space for local people to host their own events and freelancers to work from. This will improve social cohesion, improve community pride and foster empowerment through educational and literacy support. 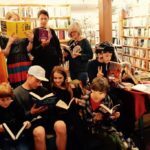 Crediton Community Bookshop has over 300 shareholders, who, along with the wider community, inform the development of the shop by submitting ideas. These are raised with their monthly committee and help inform the direction of the business. At their AGM, shareholders are invited to scrutinise the accounts and elect board members. They also have over 30 volunteers who contribute ideas and deliver projects they are passionate about, as well as serving on our Committee, helping at the shop, running our schools outreach services, staffing events with other organisations, marketing and development, and unpacking 180 crates of books as part of the move! “Power to Change’s recognition of our work, especially the outreach we provide each year to some 3,000 school children and the many opportunities we offer to volunteers of all ages, is a wonderful vote of confidence. “We’ve been conscious for many months that the shop was too small. This grant provides us with the opportunity to expand both our bookshop and event programme, and to develop the enterprise as a community hub offering a broader range of services, and partnering with other enterprises to enrich the town and the lives of Mid Devon families.